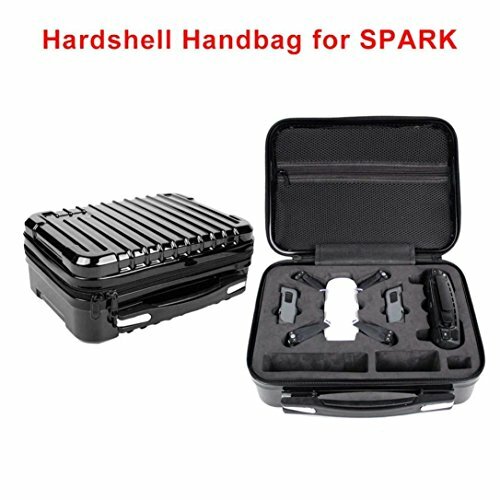 Yifant DJI SPARK Drone Hardshell Storage Handbag Large Capacity Carrying Case Waterproof Shoulder Box Suitcase Bag for Quadcopter Drone Accessories Remote Controller, Batteryx3,Cables,Charger by Yifant at Open Drone. MPN: YF-84. Hurry! Limited time offer. Offer valid only while supplies last. Upgrade EPP liner, integrated seamless, more professional. EPP soft elastic material, good shock absorption, better protection of love.